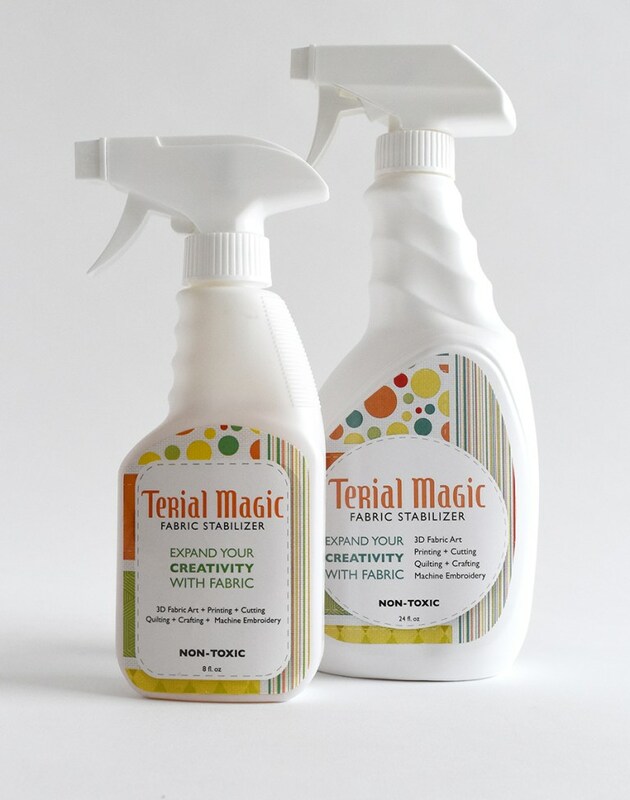 Made in the USA, Terial Magic is a unique fabric stabilizer that makes treated fabric fray-free and paper-like. The benefits and many uses of this easy-to-use product will be demonstrated by Anna Griffin, designer and craft personality on HSN. EUGENE, Ore. - March 5, 2018 - PRLog -- Tomorrow on HSN (Home Shopping Network), Anna Griffin, aka the Queen of Craft, will be demonstrating Terial Magic. It is a natural product that makes natural fiber fabric fray-free and paper-like; manufactured and distributed in the USA by Imagination International Inc. (iii). "When I saw this demonstrated at the Quilt Market last year I thought, oh my god this is amazing!" She adds, "You can die cut it, stamp on it, sew it and even print on it. The starch-like effect helps your fabric hold its shape and cut easily, but it's natural and doesn't contain sugars or starches!" On HSN, Anna Griffin will show the three simple steps to treating fabric with Terial Magic. She'll share how it makes working with fabric easier, for both sewers and crafters alike, whether amateur or novice. In addition to machine embroidery, quilting, and sewing products such thread painting or applique, Anna will show how the Terial Magic fabric stabilizer opens the door to using fabric in an entirely new medium. For instance, in her recent product preview video of Terial Magic Anna shows how the fabric stabilizer can be used to achieve intricate, fray-free cuts using die cutting machines such as the Cricut or Cuttlebug. Other uses she will present on HSN include using the Terial Magic to print on fabric, stamping, and paper crafting. "We're so delighted to have Anna Griffin showcase all the many uses and benefits of Terial Magic for her audience on HSN," says Sarah Evans, Director of Sales for the product. "Anna is an extraordinary talent who understands the passion that goes into creating one-of-a-kind handmade projects. Terial Magic is fuel for that passion to create." Terial Magic is currently not available in big box stores, so HSN online is currently the best place to buy the product. To see all the possibilities and unique benefits of this fabric stabilizer, tune in to watch Anna Griffin on HSN.